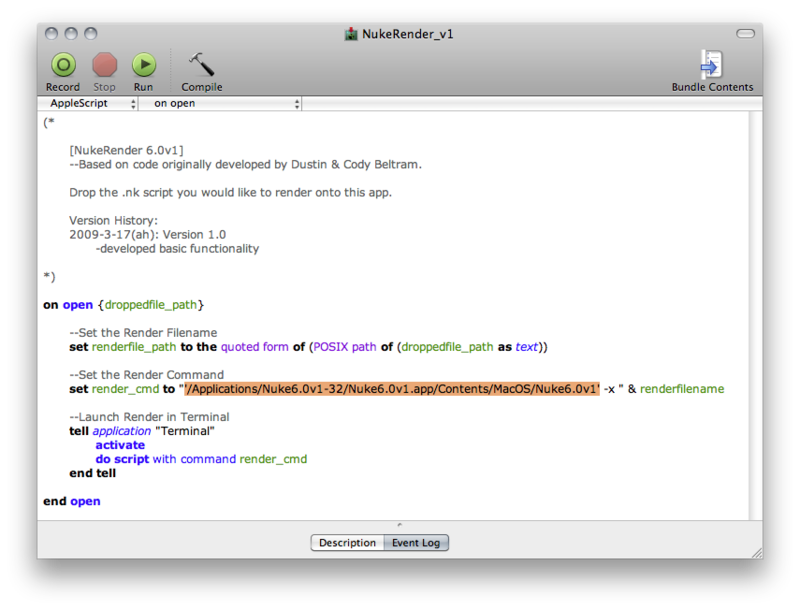 labs: NukeRender. . . | andrewANDORU. 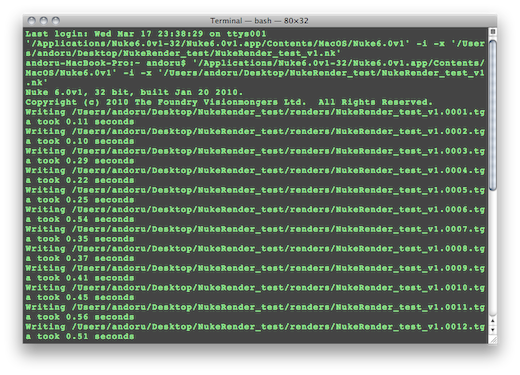 . .
Like my other 2 render droplets for AE and Maya, this one starts Nuke script renders in Terminal on OS X. It is worth noting that if you have a machine with many cores (4-8 core machine), it is well worth your time to look into how to setup your Nuke renders with Qmaster as demonstrated by Hugo Guerra. This allows for full multi-threaded use of your multi-core machine and as he demos, this can really speed up render times. Included in the package is a version called “NukeRenderFlags” that will ask if you would like to use any additional flags for your render. If you have issues, questions, or concerns please contact: andoruLABS.support. Enjoy.